1. A fine is a tax for doing something wrong. A tax is a fine for doing well. 2. School teaches lessons and then gives us a test. Life gives us a test and then we learn the lessons from it. 3. Life was much simpler when Apple, Blackberry and Raspberry were just fruit. 8. You can’t buy love, but there are times where you may pay heavily for it. 9. Money can’t buy happiness, but it is far more comfortable to cry in a Mercedes than on a bicycle. 10. Alcohol does not solve problems, but neither does milk. 11. We buy things that we don’t need, with money that we don’t have, to impress people we don’t like. 12. If you tell the truth, you never have to remember a lie. 13. If there are no ups and down in life, it means you’re dead. 14. The people with the best advice to give are usually the ones with the most problems. 15. Teenagers have the time and energy but not the money. Adults have the money and energy but not the time. Pensioners have the money and time but not the energy. 16. You can’t say M without your lips touching. 17. You’re now trying to say M without your lips touching. 18. The things that you don’t learn are the most likely things to be in the exam. 19. If undecided about two options, flip a coin. Your instinct will tell you which one you’re secretly hoping for when you feel happy or disappointed with the result. 20. The hardest thing and the right thing are often the same thing. 21. Closed minds are not often accompanied by closed mouths. 22. Fake plants will die if you don’t pretend to water them. 23. You are more likely to wake up at 6.00am on your days off. 24. The little toe is the perfect device for finding the edges of furniture in a darkened room. 25. This will cause a discussion as to whether it is ‘ironic’ or not. It isn’t. What about you? Any inspirational quotes you would like to add? I’ve seen several of these before, and love them all! Great reminders. Thanks! Haha! Thanks – it’s the only one I have where I don’t look drunk! 12, 13 and 14 just go together so well! I wish I could take credit for them haha! Thanks Cher – I wish I could take credit for them, but most were found via inspirational quotes! Absolutely! A work day – I can barely open my eyes. However, today I am on holiday so I was awake at 5.30am. Typical. Not sure these will get me through the day but they made me laugh – thanks! Thanks Sharon – glad to help! I love that haha! Do you know any pessimists that I can borrow money from? If at first you don’t suceed, that’s okay because you are not a budgie. Haha! That’s what I did! Haha I see! They are really fun! Yup, I’m going to add that to my next list! I think we can actually learn something about ourselves when we pay attention to these occurrences. Everything’s a lesson in the end. Blessings! Haha – did it work? Did you master it? I love that – Im going to use it at some point! So I guess we should hope life gives us rain as well. And I think I’d like a tap rather than getting the water out of puddles. Haha! 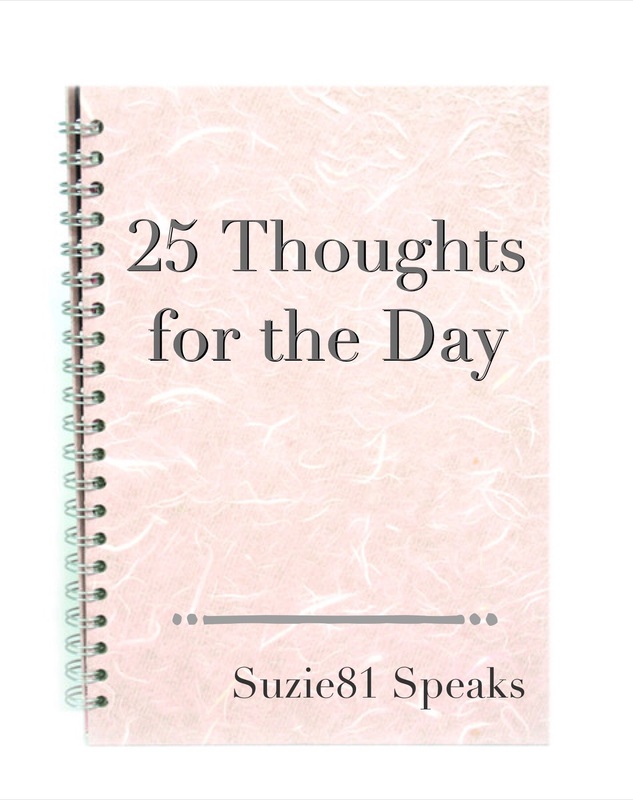 I’ve never drank puddle water – I suppose it depends on what else is mixed in with it! I’ve heard that before – love that quote. Thanks Jan! Haha! That’s the tactic he uses with me – it works! If at first you don’t succeed, then parachuting is not for you! I know, that’s why I like the pic haha! Have you not noticed that the picture is Gandalf? ‘It’ll be all right in the end and if it’s not all right it’s not the end’. I’m a sucker for a good quote – even better when it’s a collection! I find using words as inspiration to be a great motivator. Love your list! The “do or do not” quote, though, on the photo? 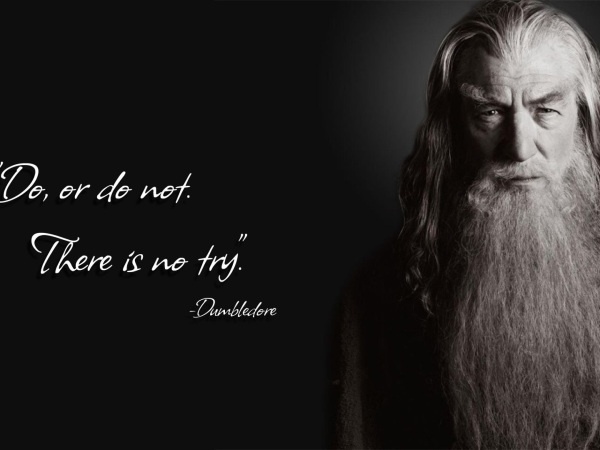 Didn’t Yoda say that, not Dumbledore? Thanks so much Lisa – really pleased you liked it! You are SO right about pretending to water fake plants.